The first race in the REVEL 2014 series is in the books. A hearty (and large) band of REVELers took to the Rocky Mountains outside of Denver on Sunday morning. PR’s were achieved, swag was earned and fun was had by all. 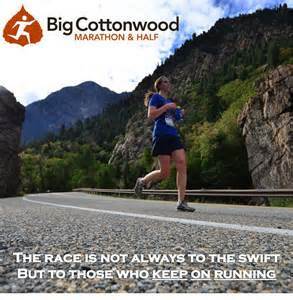 Next up in the series is the Big Cottonwood Marathon/Half Marathon outside of Salt Lake City, Utah on September 13th. The Big Cottonwood marathon course drops over 4,000 feet and the half marathon course drops just shy of 3,000 feet. I’ll be there hoping to PR on the half marathon course and I’d like you to join me and my fellow REVELers… for FREE. That’s right, it’s time for another giveaway and the prize is a FREE entry to the REVEL Big Cottonwood race. This contest is open to everyone (be sure to tell your friends)! 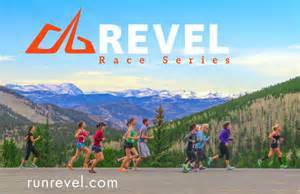 The prize is one entry (Marathon or Half Marathon, your choice) into the REVEL Big Cottonwood Race on September 13th, 2014. Transportation/lodging is NOT included, but you can find hotel listings on the REVEL website. If the winner is unavailable or doesn’t respond within 72 hours of the contest ending, I’ll award the prize to another entry. And after the race is done, if you write up a summary describing your experience (hopefully with pics), I’ll post it on Tripping The Kenyans. The contest starts at 7:00am PST on August 18th and ends at 9:00pm PST on August 21st. The winner will be announced on August 22nd. Now, what if you’re already entered in the REVEL Big Cottonwood race and win the contest? No problem. You can either get a refund of your registration fee… or even better, you can pick a friend to join you for a shuffle outside of Salt Lake City. Good luck to everyone who enters… and Run on! Posted on August 18, 2014, in Contest, General and tagged Boston Qualifier, Revel Big Cottonwood, USATF certified. Bookmark the permalink. Comments Off on CONTEST: “SALT LAKE CITY SHUFFLE”.